Just discovered that PRISM and The Crossing were featured on a December episode of New Sounds with John Schaefer on WNYC. Music by Gavin Bryars, Roshanne Etezady, and Huang Ruo. Have a listen to the podcast! https://www.newsounds.org/story/3873-music-bryars-crossing-prism-quartet/ 2 days 18 hours ago. Today at 3 PM, PRISM's Matthew Levy and composer/pianist Uri Caine are guests on WMBR's New Edge Program with host Ken Field to discuss the Quartet's new release, "The Book of Days." Listen online at https://www.wmbr.org/ or at 88.1 FM if you're in the Cambridge, MA area. 3 days 17 hours ago. Like the early composers of classical music who were also accomplished performers, Timand Matt have the built-in advantage of writing for their own ensemble, in this case, the PRISM Quartet. This position allows them to exploit the individual musical personalities of the players in an intimate, subtle manner, fully exploring PRISM's artistry. 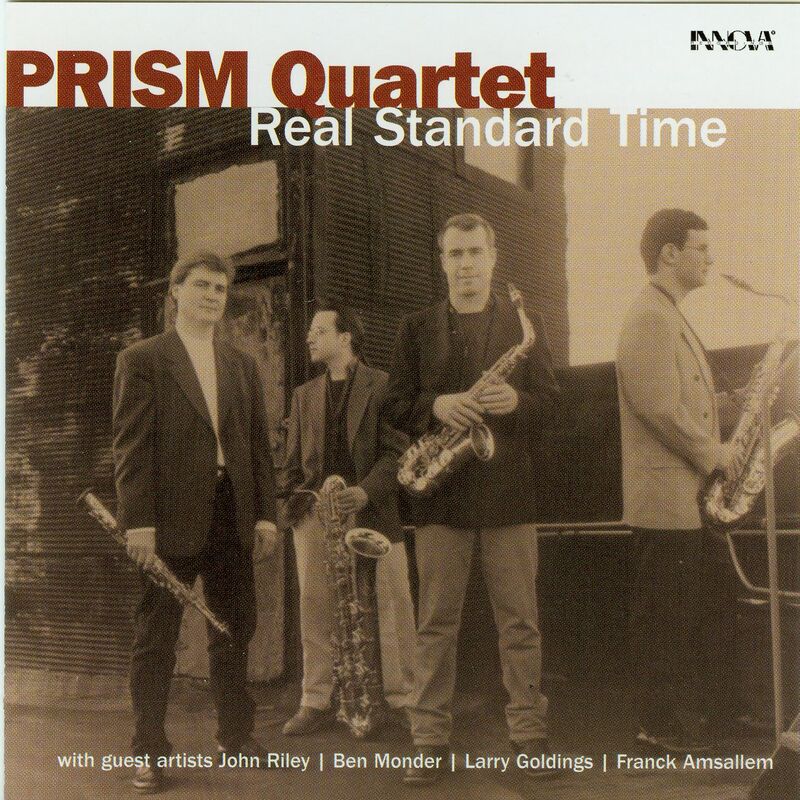 Since 1984, PRISM has been regarded as among the nation's most versatile quartets, "exciting and virtuosic" (New York Times) and "able to move effortlessly between styles" (Philadelphia Inquirer). Perhaps no other instrument better symbolizes jazz than the saxophone, yet it is an instrument with strong, albeit little known roots in classical music. Real Standard Time brings these two genres together to offer an enviable range of moods.